Dr. Freedman is a Research Professor at the University of Michigan’s Institute for Social Research. She is currently the Director of the Michigan Center on the Demography of Aging. Over the past decade Freedman has held leadership roles in several national survey efforts. She has co-led the National Health and Aging Trends Study and the National Study of Caregiving since their inception and is an Associate Director of the Panel Study of Income Dynamics. Through these efforts she has been instrumental in disseminating new measures to study disability and care needs of older adults. She has published extensively on the topics of population aging, disability trends and long-term care and has investigated the connections among disability, time use and wellbeing in later life. Lucas, Richard E.; Freedman, Vicki A. and Carr, Deborah (2018). Measuring Experiential Well-being among Older Adults. The Journal of Positive Psychology. Freedman, Vicki A.; McGonagle, Katherine A. and Couper, Mick P. (2018). Use of a Targeted Sequential Mixed Mode Protocol in a Nationally Representative Panel Study. Journal of Survey Statistics and Methodology, 6(1), 98-121. Dong, Liming; Freedman, Vicki A.; Sanchez, Brisa, N. and Mendes de Leon, Carlos, F. (2018). Racial and Ethnic Differences in Disability Transitions among Older Adults in the United States. The Journals of Gerontology: Series A.
Weir, David R.; Waite, Linda J.; Wong, Rebeca and Freedman, Vicki A. (2018). New Measures and New Designs in Demography of Aging Research. 371-396. In Hayward,Mark D. and Majmundar,Malay K. (Ed. ), Future Directions for the Demography of Aging: Proceedings of a Workshop. National Academies Press:Washington, DC. Freedman, Vicki A. (2018). The Demography of Late-Life Disability. 269-305. In Hayward,Mark D. and Majmundar,Malay K. (Ed. ), Future Directions for the Demography of Aging: Proceedings of a Workshop. National Academies Press:Washington D.C..
Makaroun, Lena K.; Teno, Joan M.; Freedman, Vicki A.; Kasper, Judith D.; Gozalo, Pedro and Mor, Vincent (2018). Late Transitions and Bereaved Family Member Perceptions of Quality of End-of-Life Care. Journal of the American Geriatrics Society, 66(9), 1730-1736. Freedman, Vicki A.; Carr, Deborah; Cornman, Jennifer C. and Lucas, Richard E. (2017). Aging, Mobility Impairments and Subjective Wellbeing. Disability and Health Journal, 10(4), 525-531. Kasper, Judith D.; Chan, Kitty S. and Freedman, Vicki A. (2017). Measuring Physical Capacity: An Assessment of a Composite Measure using Self-Report and Performance-Based Items. Journal of Aging and Health, 29(2), 289-309. Skolarus, Lesli E.; Freedman, Vicki A.; Feng, Chunyang and Burke, James F. (2017). African American Stroke Survivors. Circulation: Cardiovascular Quality and Outcomes, 10(2), e003160. Freedman, Vicki A.; Kasper, Judith D. and Spillman, Brenda C. (2017). Successful Aging through Successful Accommodation with Assistive Devices. The Journals of Gerontology Series B: Psychological Sciences and Social Sciences, 72(2), 300-309. McGonagle, Katherine A. and Freedman, Vicki A. (2017). The Effects of a Delayed Incentive on Response Rates, Response Mode, Data Quality, and Sample Bias in a Nationally Representative Mixed Mode Study. Field Methods, 29(3), 221-237. Carr, Deborah; Cornman, Jennifer C. and Freedman, Vicki A. (2017). Disability and Activity-Related Emotion in Later Life: Are Effects Buffered by Intimate Relationship Support and Strain?. Journal of Health and Social Behavior, 58(3), 387-403. Zahuranec, Darin B.; Skolarus, Lesli E.; Feng, Chunyang; Freedman, Vicki A. and Burke, James F. (2017). Activity Limitations and Subjective Well-being After Stroke. Neurology, 89(9), 944-950. Freedman, Vicki A.; Carr, Deborah; Cornman, Jennifer C. and Lucas, Richard E. (2017). Impairment Severity and Evaluative and Experienced Well-being among Older Adults: Assessing the Role of Daily Activities. Innovation in Aging, 1(1), igx010. Keeney, Tamra; Jette, Alan M.; Freedman, Vicki A. and Cabral, Howard (2017). Racial Differences in Patterns of use of Rehabilitation Services for Adults Aged 65 and Older. Journal of the American Geriatrics Society, 65(12), 2707-2712. Lucas, Richard E.; Freedman, Vicki A. and Cornman, Jennifer C. (2017). The Short-Term Stability of Life Satisfaction Judgments. Emotion. Sharma, R. K.; Freedman, Vicki A.; Mor, V.; Kasper, J. D.; Gozalo, P. and Teno, J. M. (2017). Association of Racial Differences with End-of-Life Care Quality in the United States. JAMA Internal Medicine. Freedman, Vicki A.; Wolf, Douglas A. and Spillman, Brenda C. (2016). Disability-Free Life Expectancy Over 30 Years: A Growing Female Disadvantage in the US Population. American Journal of Public Health, 106(6), 1079-1085. Carr, Deborah; Cornman, Jennifer C. and Freedman, Vicki A. (2016). Marital Quality and Negative Experienced Well-being: An Assessment of Actor and Partner Effects among Older Married Persons. Journals of Gerontology Series B-Psychological Sciences and Social Sciences, 71(1), 177-187. Wolff, Jennifer L.; Spillman, Brenda C.; Freedman, Vicki A. and Kasper, Judith D. (2016). A National Profile of Family and Unpaid Caregivers Who Assist Older Adults with Health Care Activities. Jama Internal Medicine, 176(3), 372-379. Freedman, Vicki A. and Spillman, Brenda C. (2016). Active Life Expectancy in the Older US Population, 1982–2011: Differences between Blacks and Whites Persisted. Health Affairs, 35(8), 1351-1358. Sayer, Liana C.; Freedman, Vicki A. and Bianchi, Suzanne M. (2016). Gender, Time use, and Aging. 163-180. In George,Linda K. and Ferraro,Kenneth F. (Ed. ), Handbook of Aging and the Social Sciences (Eighth Edition). Academic Press:San Diego. Skolarus, Lesli E.; Freedman, Vicki A.; Feng, Chunyang; Wing, Jeffrey J. and Burke, James F. (2016). Care Received by Elderly US Stroke Survivors may be Underestimated. Stroke, 47, 2090-2095. Teno, Joan M.; Freedman, Vicki A.; Kasper, Judith D.; Gozalo, Pedro and Mor, Vincent (2015). Is Care for the Dying Improving in the United States?. Journal of Palliative Medicine, 18(8), 662-666. Wolf, Douglas A.; Freedman, Vicki A.; Ondrich, Jan I.; Seplaki, Christopher L. and Spillman, Brenda C. (2015). Disability Trajectories at the End of Life: A “Countdown” Model. The Journals of Gerontology Series B: Psychological Sciences and Social Sciences, 70(5), 745-752. Burke, James F.; Skolarus, Lesli E. and Freedman, Vicki A. (2015). Racial Disparities in Poststroke Activity Limitations are Not due to Differences in Prestroke Activity Limitation. Journal of Stroke and Cerebrovascular Diseases, 24(7), 1636-1639. Kasper, Judith D.; Freedman, Vicki A.; Spillman, Brenda C. and Wolff, Jennifer L. (2015). The Disproportionate Impact of Dementia on Family and Unpaid Caregiving to Older Adults. Health Affairs, 34(10), 1642-1649.
de Leon, Carlos F. Mendes and Freedman, Vicki A. (2015). Measuring Disability, Physical Functions and Cognitive Abilities of Adults: Survey Enhancements and Options for a New Panel Study. Journal of Economic and Social Measurement, 40(1-4), 397-425. Skolarus, Lesli E.; Burke, James F. and Freedman, Vicki A. (2014). The Role of Accommodations in Poststroke Disability Management. The Journals of Gerontology Series B: Psychological Sciences and Social Sciences, 69, S26-S34. Skolarus, L. E.; Burke, J. F.; Brown, Daniel L. and Freedman, Vicki A. (2014). Understanding Stroke Survivorship: Expanding the Concept of Poststroke Disability. Stroke; a Journal of Cerebral Circulation, 45(1), 224-230. Grafova, Irina B.; Freedman, Vicki A.; Lurie, Nicole; Kumar, Rizie and Rogowski, Jeannette (2014). The Difference-in-Difference Method: Assessing the Selection Bias in the Effects of Neighborhood Environment on Health. Economics & Human Biology, 13, 20-33. Freedman, Vicki A.; Kasper, J. D.; Spillman, B. C.; Agree, E. M.; Mor, V.; Wallace, R. B. and Wolf, D. A. (2014). Behavioral Adaptation and Late-Life Disability: A New Spectrum for Assessing Public Health Impacts. American Journal of Public Health, 104(2), e88-e94. Carr, D.; Freedman, Vicki A.; Cornman, J. C. and Schwarz, N. (2014). Happy Marriage, Happy Life? Marital Quality and Subjective Well-being in Later Life. Journal of Marriage and the Family, 76(5), 930-948. 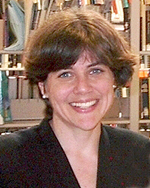 Freedman, Vicki A. (2014). Research Gaps in the Demography of Aging with Disability. Disability and Health Journal, 7(1 Suppl), S60-3. Freedman, Vicki A. and Spillman, B. C. (2014). Disability and Care Needs among Older Americans. The Milbank Quarterly, 92(3), 509-541. Freedman, Vicki A. and Spillman, Brenda C. (2014). The Residential Continuum from Home to Nursing Home: Size, Characteristics and Unmet Needs of Older Adults. The Journals of Gerontology Series B: Psychological Sciences and Social Sciences, 69, S42-S50. Freedman, Vicki A.; Agree, E. M.; Cornman, J. C.; Spillman, B. C. and Kasper, J. D. (2014). Reliability and Validity of Self-Care and Mobility Accommodations Measures in the National Health and Aging Trends Study. The Gerontologist, 54(6), 944-951. Freedman, Vicki A.; Conrad, Frederick G.; Cornman, J.; Schwarz, N. and Stafford, Frank P. (2014). Does Time Fly when You are having Fun? A Day Reconstruction Method Analysis. Journal of Happiness Studies, 15(3), 639-655. Freedman, Vicki A.; Cornman, J. C. and Carr, D. (2014). Is Spousal Caregiving Associated with Enhanced Well-being? New Evidence from the Panel Study of Income Dynamics. The Journals of Gerontology.Series B, Psychological Sciences and Social Sciences, 69(6), 861-869. Burke, J. F.; Freedman, Vicki A.; Lisabeth, L. D.; Brown, Daniel L.; Haggins, A. and Skolarus, L. E. (2014). Racial Differences in Disability After Stroke: Results from a Nationwide Study. Neurology, 83(5), 390-397. Kasper, Judith D. and Freedman, Vicki A. (2014). Findings from the 1st Round of the National Health and Aging Trends Study (NHATS): Introduction to a Special Issue. The Journals of Gerontology Series B: Psychological Sciences and Social Sciences, 69(Suppl 1), S1-S7. Freedman, Vicki A.; Stafford, Frank P.; Schwarz, Norbert and Conrad, Frederick G. (2013). Measuring Time use of Older Couples: Lessons from the Panel Study of Income Dynamics. Field Methods, 25(4), 405-422. Freedman, Vicki A.; Spillman, B. C.; Andreski, P. M.; Cornman, J. C.; Crimmins, E. M.; Kramarow, E.; Lubitz, J.; Martin, Linda, G.; Martin, L. G.; Merkin, S. S.; Schoeni, Robert F.; Seeman, T. E. and Waidmann, T. A. (2013). Trends in Late-Life Activity Limitations in the United States: An Update from Five National Surveys. Demography, 50(2), 661-671. Freedman, Vicki A.; Broome, J.; Conrad, Frederick G. and Cornman, J. C. (2013). Interviewer and Respondent Interactions and Quality Assessments in a Time Diary Study. Electronic International Journal of Time use Research, 10(1), 55-75. Freedman, Vicki A.; Stafford, Frank P.; Schwarz, Norbert; Conrad, Frederick G. and Cornman, Jennifer C. (2012). Disability, Participation, and Subjective Wellbeing among Older Couples. Social Science & Medicine, 74(4), 588-596. Part Special Issue: Men, Masculinities and Suicidal Behaviour. Freedman, Vicki A.; Stafford, Frank P.; Conrad, Frederick G.; Schwarz, Norbert and Cornman, Jennifer, C. (2012). Assessing Time Diary Quality for Older Couples: An Analysis of the Panel Study of Income Dynamics’ Disability and use of Time (DUST) Supplement. Annals of Economics and Statistics, 105, 271-289. Schoeni, Robert F.; Buchmueller, Thomas C. and Freedman, Vicki A. (2011). Socioeconomic Status and Health Over the Life Course and Across Generations: Introduction to a Special Issue and Overview of a Unique Data Resource. The B.E. Journal of Economic Analysis & Policy, 13. Freedman, Vicki A.; Kasper, Judith D.; Cornman, Jennifer C.; Agree, Emily M.; Bandeen-Roche, Karen; Mor, Vincent; Spillman, Brenda C.; Wallace, Robert and Wolf, Douglas A. (2011). Validation of New Measures of Disability and Functioning in the National Health and Aging Trends Study. The Journals of Gerontology Series A: Biological Sciences and Medical Sciences, 66A(9), 1013-1021. Agree, Emily M. and Freedman, Vicki A. (2011). A Quality-of-Life Scale for Assistive Technology: Results of a Pilot Study of Aging and Technology. Physical Therapy, 91(12), 1780-1788. Freedman, Vicki A.; Grafova, I. B. and Rogowski, J. (2011). Neighborhoods and Chronic Disease Onset in Later Life. American Journal of Public Health, 101(1), 79-86. Freedman, Vicki A. (2010). Disability, Functioning, and Aging. In Binstock,Robert H. and George,Linda K. (Ed. ), Handbook of Aging and the Social Sciences. Academic Press:New York. Albert, Steven M. and Freedman, Vicki A. (2010). Public Health and Aging : Maximizing Function and Well-being. 427. New York:Springer. Martin, Linda G.; Freedman, Vicki A.; Schoeni, Robert F. and Andreski, Patricia M. (2010). Trends in Disability and Related Chronic Conditions among People Ages Fifty to Sixty-Four. Health Affairs, 29(4), 725-731. Martin, L.; Freedman, Vicki A.; Schoeni, Robert F. and Andreski, Patricia M. (2009). Health and Functioning among Baby Boomers Approaching 60. The Journals of Gerontology, 64B(3), 369-377. Schoeni, Robert F.; Freedman, Vicki A. and Martin, L. (2008). Why is Late-Life Disability Declining?. The Milbank Quarterly, 86(1), 47-89. Rogowski, J.; Freedman, Vicki A.; Wickstrom, S.; Adams, J. and Escarce, J. (2008). Socioeconomic Disparities in Medical Provider Visits among Medicare Managed Care Enrollees. Inquiry - Excellus Health Plan, 45(1), 112-129. Iezzoni, L. and Freedman, Vicki A. (2008). Turning the Disability Tide: The Importance of Definitions. JAMA: The Journal of the American Medical Association, 299(3), 332-334. Grafova, I.; Freedman, Vicki A.; Kumar, R., MA and Rogowski, J. (2008). Neighborhoods and Obesity in Later Life. American Journal of Public Health, 98(11), 2065-2071. Freedman, Vicki A.; Martin, L.; Schoeni, Robert F. and Cornman, J. (2008). Declines in Late-Life Disability: The Role of Early- and Mid-Life Factors. Social Science & Medicine, 66(7), 1588-1602. Freedman, Vicki A.; Grafova, I.; Schoeni, Robert F. and Rogowski, J. (2008). Neighborhoods and Disability in Later Life. Social Science & Medicine, 66(11), 2253-2267. Freedman, Vicki A.; Martin, Linda G.; Cornman, Jennifer; Agree, Emily and Schoeni, Robert F. (2008). Trends in Assistance with Daily Activities: Racial/ethnic and Socioeconomic Disparities in the U.S. Older Population Persist. In Cutler,David M. and Wise,David A. (Ed. ), Health at Older Ages : The Causes and Consequences of Declining Disability among the Elderly. University of Chicago Press:Chicago. Schoeni, Robert F.; Freedman, Vicki A.; Martin, Linda G. and Andreski, Patricia M. (2008). Socioeconomic and Demographic Disparities in Trends in Old-Age Disability. In Cutler,David M. and Wise,David A. (Ed. ), Health at Older Ages : The Causes and Consequences of Declining Disability among the Elderly. University of Chicago Press:Chicago. Cornman, J. and Freedman, Vicki A. (2008). Racial and Ethnic Disparities in Mobility Device use in Late Life. The Journals of Gerontology, 63B(1), S34-S41.